My husband and I were married young after the shortest engagement in history – less than 3 months! Our first year was full of challenges as we got a crash course in each others’ personalities. There was a huge learning curve that first year! Over the first few years of marriage I read numerous marriage books. I guess I thought I needed to cram in some helpful advice since we didn’t do much preparation before we were married. Some were helpful and others didn’t really resonate with me. But even after almost 11 years of marriage I still enjoy reading some marriage books when I get spare time – which is a rare commodity in these days of raising young kids. 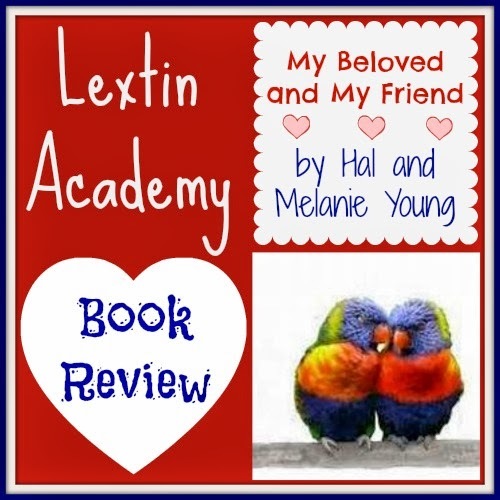 I was excited to read and review My Beloved and My Friend by Hal and Melanie Young. These are the same authors who wrote the book Raising Real Men and speak at events around the country about homeschooling and raising an entire house full of boys. I’ll admit I wasn’t overly familiar with the Youngs or their other books. My house is mostly female! I had not heard their testimony and I didn’t know anything about their family – other than they fact that they probably raised more than 1 son. I just grabbed my book and jumped in. I had a hard time putting this book down. It’s just such an easy read that feels like a 1-on-1 conversation with the authors as they share their hearts. They’ve included numerous anecdotes about their marriage, their children, their family life. The Youngs also write about families they have met over the years through speaking and homeschooling, including bits of wisdom they’ve gleaned from the lives and marriages of others. Sprinkled between the personal stories and life experiences are bits of wisdom for marriage. Each chapter is also full of Scripture references, giving each topic a Biblical perspective. 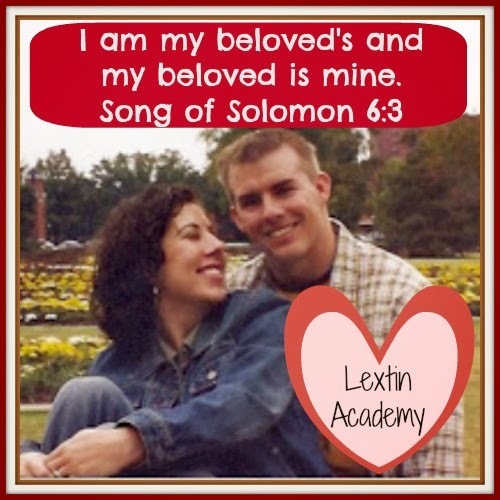 Hal and Melanie encourage the reader to have a Biblical outlook and view their spouse as a friend and a lover for a lifetime. They hold nothing back and don’t shy away from pointing out the way in which society now views marriage, children, and relationships which is counter to the Scriptural picture of marriage. I loved how they pointed out that a spouse should be a friend first and then a lover. This quote stood out to me – how many times do we have more patience with our friends and are more willing to forgive the ways in a which a friend wrongs us? But when it comes to our spouse, we hold them to a standard that is not attainable and we don’t forgive them when they hurt us whether intentionally or not? We easily excuse the mistakes made by friends but mistakes made by a spouse are held over his head for months or even years. No, we need to put forgiveness first and allow room for mistakes in our spouses. One of the most difficult issues in the early days of our marriage was communication or the lack thereof. My husband and I seemed to make assumptions about the other and we often let the other person try to guess our intentions and our feelings. If only we had committed to being open about every expectation, assumption, and emotion we would have saved ourselves a lot of frustration. The Youngs addressed communication in multiple chapters but I found the quote on page 45 helpful in continuing to change my paradigm. The authors go on to explain how we might be preventing our mate from fulfilling God’s commands. We are called to bear one another’s burdens in Christ. If we are not honest and open with each other, we deprive our mate from being able to pray for us, encourage us, and carry part of our burden. I had never thought about honesty in marriage in this perspective but I love the analogy that we are called to weep with those who weep and rejoice with those who rejoice and thus help bear the burden of others, taking our joys and sorrows to Christ. And did you know that through the example of a Biblical marriage, you are showing a portrait of Christ to the world around you? As I read this book I found myself highlighting and underlining sections throughout. I also pulled out my Bible and underlined many of the verses that were referenced in the book. My husband was curious as he saw me writing all over my book so I ended up sharing many of the principles, personal stories, and ideas outlined in the book. He got the shortened version but found the concepts to be thought-provoking and true. The book is about 250 pages and filled with the personal experiences and life stories of the authors. The book contains Scripture throughout every chapter to support the authors’ advice on every topic. You can visit the website My Beloved and My Friend for more information about the book and about the Young family. My Beloved My Friend is available for preorder for $12. I highly recommend this book as a candid conversation about marriage that delves into the deeper issues that a couple will experience. The book doesn’t shy away from difficult topics but rather addresses them with sensitivity and honesty. I’m thankful the authors have shared a glimpse into their marriage and their hearts through their book on Biblical marriage. You can read other reviews of My Beloved and My Friend here! Great review! We loved this book as well!